The Paris Exhibition of decorative arts of 1925 had an enormous impact on American design when it toured the USA the following year. It encouraged American designers to create furniture and interiors in the modern style. 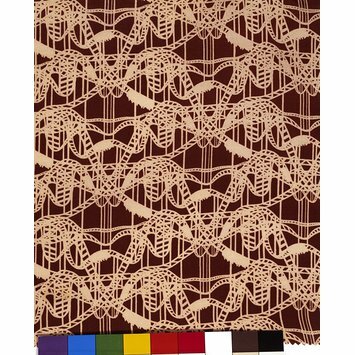 One example is this printed silk dress fabric called ‘Thrills’ by Dwight Taylor for the Stehli Silks Corporation. The pattern shows a switchback in silhouette. 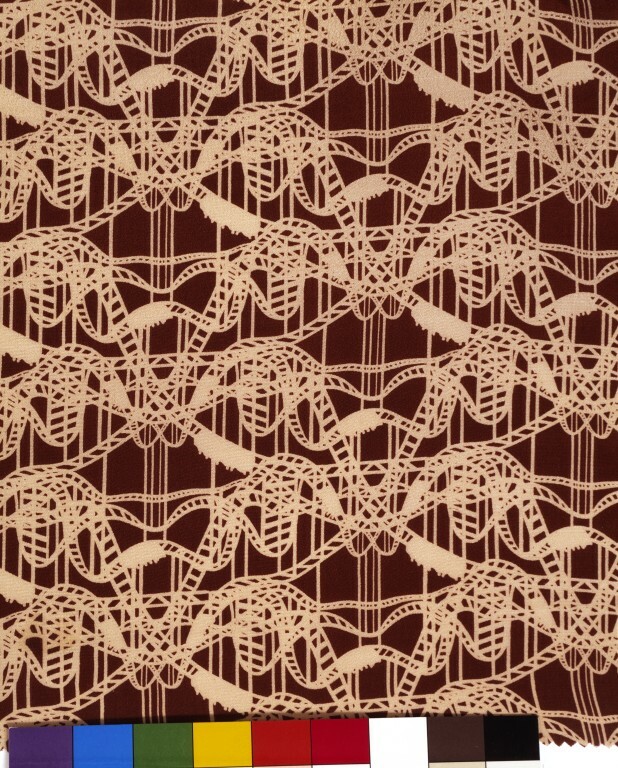 It is part of the ‘Americana’ range of dress fabrics which the firm commissioned from leading artists in 1927. To make a change from ubiquitous floral patterns, these fabrics were designed specifically to depict contemporary American life. Idiosyncratically drawn repeat of the silhouette of a switchback railway in cream on a rust coloured ground, inspired by the one at Coney Island. Printed silk crêpe de Chine, USA, 1927. Samuels, Charlotte. Art Deco Textiles. London : V&A Publications, 2003. Plate 62.